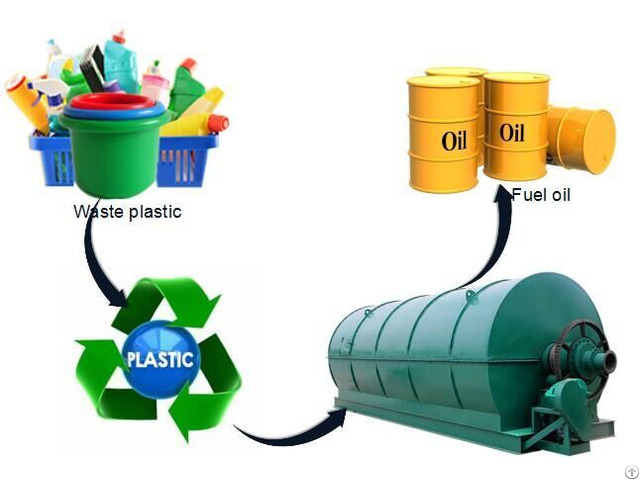 The technology is no pollution conversation technology to convert the waste plastic to fuel, the waste plastic recycling plant converts petroleum-made plastic solids into liquid or petroleum products, namely high quality fuel oil or plastic oil. The process of plastic to fuel taken place in the reactor. There will be fuel heating the reactor under the reactor; the raw material is processed in the atmosphere pressure with high temperature .During the process there will be a vacuum system discharging removes and separate the in the end. 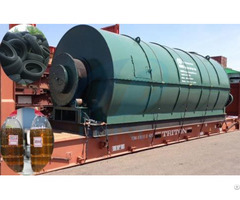 The raw materials are heated and gradually converted from solid to liquid and then go to gas. The gas will go to condenser. The oil gas will go into the condenser to be condensed into crude oil. The oil gas which cannot be condensed will be recycled to the reactor to heat the reactor. During the process there will be no waste generated to the environment. 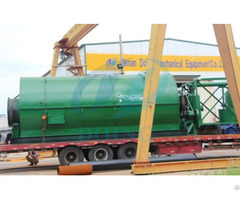 We have well dedusting system to remove the waste gas. We have also carbon black discharging system to discharge the carbon black. So during the process there will be no solid waste generated. Water is used to cool the oil gas. The water is non-contact with the process itself so the water is clean and uncontaminated. 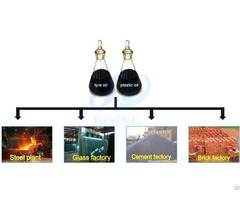 40%-45% final products of the process is fuel oil, 30%-35% is carbon black, 10%-15% is waste oil gas.